I realized the other morning that I have 115+ followers!! I started this blog as a way to catalog my thoughts and design inspiration, and I never imagined that so many of you would be interested in what I have to say. Thank you so much for reading and for all the sweet comments, I truly appreciate all the love!! As you all know, I LOVE promoting other artists/small businesses, and sharing great design finds! The ladies behind MNA Designs, Mayoli and Amanda have been best friends since high school and are currently enrolled as University students. They spend way to much time with their noses in the books (I remember those days), decided to turn to jewelry making as a creative outlet and MNA Designs was born! All of the jewelry is handcrafted with quality materials and they absolutely love creating new designs!! I have my eye on the spring filigree locket and this cluster necklace! And with Mother's Day, showers and birthdays around the corner, I think a beautiful piece of jewelry always makes a great gift!! Really, Really want to win?? That's 5 chances to win!! Can't wait?! Want to buy something right away? I'll take 2 please! Wow, what gorgeous jewelery! love your blog and love this giveaway! I'd definitely pick a pair of earrings! now following MNSDesigns on twitter too! Hmmm...that's a tough call. I think I am leaning toward the spring earrings, but the filigree locket is tempting too. very cute! i like the gold leaf necklace! I love the The Spring Filigree Petite Locket! So cute! Awesome! I love the The Rose Quartz Gold Leaf Pendant Necklace :) I am a big fan of MNA jewelry and I am so happy I found your blog and twitter through them! I'm a follower and love the Spring Filigree Petite Locket. I follow you on twitter too! Congrats! I've been lusting after a pair of rose earrings for awhile. I think I'd choose those. Thanks for the fantastic giveaway! I'd totally choose the locket!! ohmygosh! so cute! the rose quartz is gorgeous! great giveaway...I'll keep my fingers crossed! Definitely loving the rose quartz necklace. So pretty! Oh my gosh, I absolutely LOVE all of these pieces!! Jessica, awesome giveaway is what! thanks for the chance and i adore their sweet accessories a bunch, especially am keen on the filigree locket! it's gorg!!! I am your follower & I love the rose earrings! 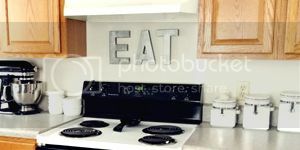 I 'liked' MNA Designs on Facebook. Yay! I follow MNA on Twitter...double yay! And...OF COURSE I follow YOU on twitter! Triple yay! I totally tweeted about this giveaway too....quadruple YAY! 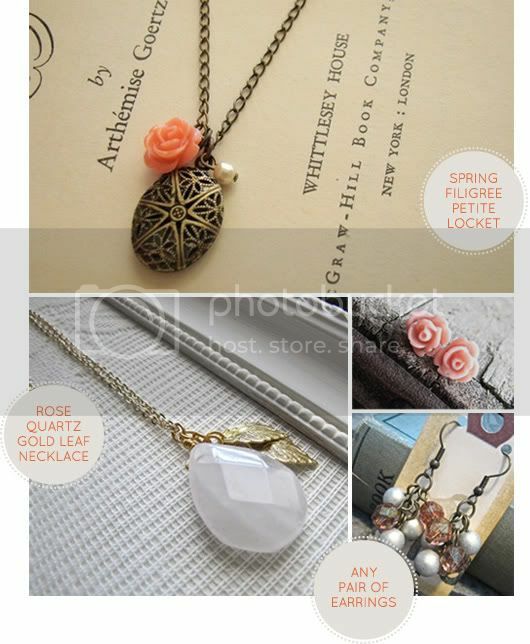 I would love to win the Rose Quartz Gold Leaf Pendant Necklace! thanks for letting me know about the giveaway! so cool. I love that rose quartz - timeless!!! I am a follower. I'd love to win the Spring Feiligree Petite Locket. The Rose Quartz for sure! Finally... tweeted this giveaway on my Twitter account thedodoist :) Have a great weekend! Yay! Congrats chica! How to choose?! I think the Rose Quartz with gold leaves. Following! but I don't have FB or Twitter... I know crazy ay?! LOL! IF I win I would like the locket... I have wanted a locket since I was a little girl. This would make my day! I'm now following. Lovely blog! I follow Creative Index publicly and if I won, I would choose the rosebud post earrings (I thought there was a turquoise one but I think it's been sold). I also follow you now on Twitter.